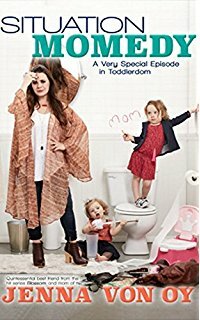 While preparing to give birth to her first daughter, actress Jenna von Oy, known for her roles as Six on Blossom and Stevie on The Parkers, looked for a book, a best-friend’s guide to motherhood. But what she found were clinical guides to pregnancy and beyond. She addressed that with Situation Momedy: A First-Time Mom’s Guide to Laughing Your Way through Pregnancy & Year One. Filled with the humor and reassurance only a best friend can offer, this book will guide moms through the topsy-turvy world of life with toddlers. Hang on to your hats, and get ready for Situation Momedy: A Very Special Episode in Toddlerdom. 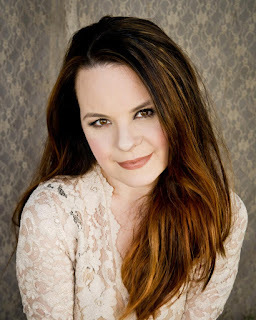 Best known for her roles as Six on Blossom and Stevie on The Parkers, Jenna von Oy is also a musician who has released two albums. She has been blogging for People.com for nearly three years and maintains her own blog, The Cradle Chronicles (cradlechonicles.com). She married husband Brad Bratcher in 2010 and gave birth to their first daughter, Gray Audrey, in 2012. Their second daughter, Marlowe Monroe, arrived in November of 2014. She resides in Nashville with her family and five dogs. This cute, tongue-in-cheek look at mommyhood is one that all moms can relate to. Jenna has a way of sharing her stories, while giving some great pointers for new moms or moms to toddlers. She may not have all the answers, but she tries to handle life and children in a way that is positive, loving and at times hilarious. Reading her story, even though I had not read the first book, had me looking back on my own experiences as a mom to babies and toddlers. I also had two kids in diapers at the same time, so I know the struggle is real. Seeing that all mothers go through this is one thing, but to know you aren't alone with the tantrums or toddler antics is a another. Often when the going gets tough, we feel alone. Reading this book was almost like attending a support group. Albeit with a few more laughs. I may be long past my diapering days, with my children grown and adult now, but I hope Jenna writes more momedy books. Her humor shines through those poop-filled moments like nobodies business, and it's nice to go back in time to when I had those moments too. **No compensation was received for posting. Compensation may be earned from the links within. An ecopy was provided to facilitate a review. Opinions are owned by Freda's Voice.